The second quarter of my ten-month AmeriCorps term is wrapping up, leaving me more comfortable with my day-to-day activities, more confident in my abilities, and more comfortable with life in Bellingham. During this service term, I have had the opportunity to serve with numerous volunteers in many different ways. What stands out to me, however, is the collaboration with a high school Red Cross club. Their volunteers have been an integral part of our presentation team for the last several months, and have expressed a tremendous amount of interest in becoming leaders in their community. 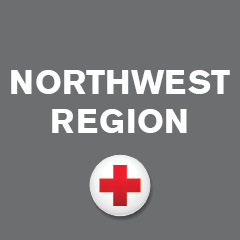 When first speaking to the Sehome High School Red Cross Club, Jack (the other North West Washington AmeriCorps volunteer) and I did not know what to expect in terms of their desired level of involvement. After hearing about the Pillowcase Project, the club’s interest was piqued. They wanted to know how they could become involved with the program, which is when Jack and I started making a plan. We watched them complete all of the necessary online trainings, participate in training that we constructed for them, and accompany us to the schools to deliver the presentations. We could tell that they knew the information, but some were a little nervous when it came to delivering the materials and speaking publicly. After a while, we decided that they needed to be dropped into the fray. At first, we started them off slowly; one section of the presentation involves teaching a coping skill, and that would be a good place to begin. After several presentations, they were ready to cover the information in more technical sections. Some of the members were able to take the changes in stride, but it represented a challenge for others. There is still work to be done, but the progress that has been made so far is appreciable. Several members who would not have said a word during the presentations in the beginning are now comfortable taking the main stage in front of twenty unruly third graders. Recently, the group has moved into conducting outreach for the program. One of the members’ mothers is a teacher in a local school who accessed her networks to generate opportunities for the Red Cross and the Red Cross club. Through this process, one member in particular was a key part of the coordination required to set up these presentations. By understanding the project materials, tapping into existing local networks, and even generating the idea to start outreach in this particular direction, this volunteer made something possible that wasn’t even on our radar. Ultimately, our goal is to transition some of our presentations to their group. We believe they can lead Pillowcase Presentations without our help, and their progress as leaders and coordinators displays this well. At the very least, the club members are getting the opportunity to practice core leadership skills and contribute positively to their communities. I hope that they will keep learning, and applying their skills moving forward.